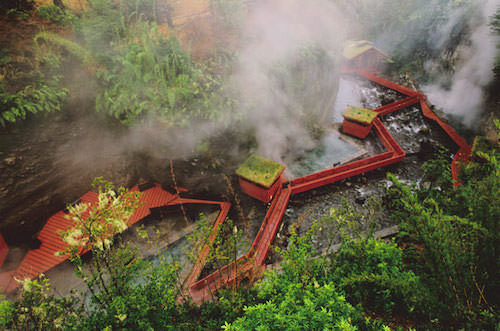 Termas Geométricas Hot Springs is a Japanese-style onsen in Chile about an hour’s drive from the village of Pucon in the lake district. It is one of our favorite places in Chile because of the unique design that blends with the stunning surroundings. The Architecture blog, Arch Daily recently published an article about the hot springs.